Hi, we are the Hagers! Thank you for taking the time to learn about our story. When we got married 13 years ago we would have never believed how long and hard our journey to start a family would be. We have always wanted a big family, and hoped to have both boilogical and adopted kids. Our plan was originally to have two boilogical kids and then start adopting. After several years of infertility and mulitple doctors visits with 5 fertility specialists, we decided to switch our efforts to adoption. We tried to adopt for several years internationally, but the country we were trying to adopt from changed their laws and our international adoption journey came to an end. We then began the process of domestic adoption, and were finally able to adopt our amazing son Jax who is the joy of our lives! We are now in the process of trying to adopt again, and would love your help! 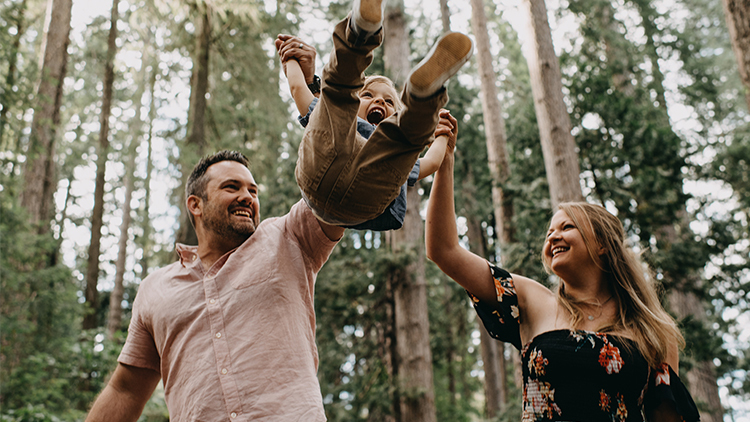 The past several years we have poured as much of our finances that we could into fertility specialists and treatments, international adoption fees that could not be refunded, and adoption fees that came with adopting our son. Facing another adoption cost (which is around $30,000 on average) is feeling a bit overwhelming to say the least! We would be so honored and grateful if you would consider making a tax deductable donation towards our next adoption! We are able to fund one third of our adoption fees this way, so our goal is to raise $10,000 through this Adoption Bridge site. If you would like to make a donation we would be so incredibly thankful! Thanks again for taking the time to learn about who we are! So happy to hear about this! What a blessing you both will be for the child. We can't wait to meet the next little Hager! So grateful for the opportunity! Can’t wait to hear about your new little one soon. We will be praying!! Praying for you all and your growing family! Much love! We can’t wait to meet our new niece or nephew ❤️! There are no two better people for some lucky kid out there. Praying for a quick and easy adoption! Praying for your family on this sweet journey! We can't wait to meet sweet the next little Hager!! We love you guys! Hey Jeremy and Nicole, We are so excited to hear that your beautiful family will be expanding soon! You and big brother Jax will be such a blessing to this new little one! Thank you for sharing your adoption journey and for allowing us to pray and anticipate this exciting adventure with you! Another little Hager!! We are so excited for all of you!! We are SO excited for the new addition to your family! We love you and are excited to see your family grow! !